We currently have two woodfired oven recipe books available and our next book is available to pre-order with delivery expected mid-November 2018. Our first book was released in 2012 and has since sold over 70,000 copies. Our second book is now published and getting great reviews which is very exciting! Bearing in mind that the first rule of Woodfired Oven Club is “It’s not a Pizza Oven”, this book contains loads of great recipes for flatbreads and pancakes and there’s not a pizza in sight. 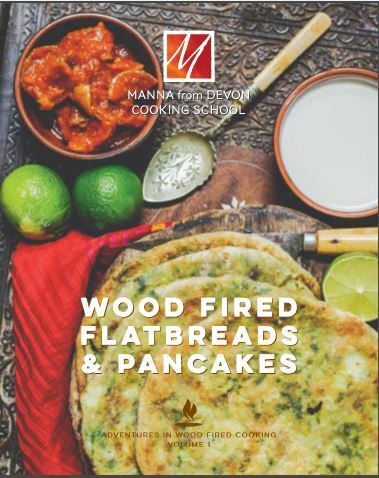 There’s also lots of useful information about your oven, equipment needed, managaing the fire – in fact all things wood fired. 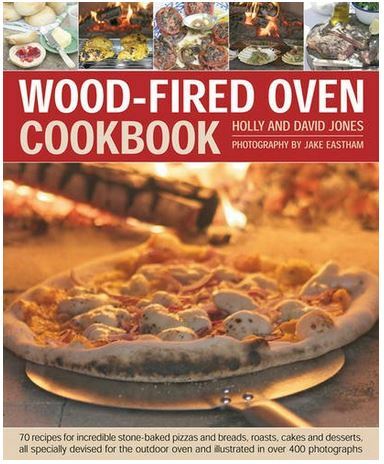 Beautifully photographed by Nick Hook this is a great book for those who have cracked the whole pizza thing and now want to do something a little bit different with their woodfired oven and would make a perfect present. It’s also available as a fiixed layout ebook here. Our third book is now here and we’re delighted with it- you can order your copy here. 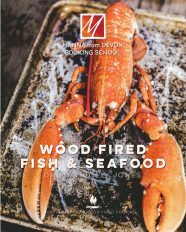 Focussing on the amazing fish & seafood we get here in south Devon, it’s full of our favourite recipes, loads of photos by Nick Hook again and lots of tips and information about cooking fish and seafood in your woodfired ovens. We are thrilled with it and think you’ll love it too!